PACIA, the peak body representing Australia’s plastics and chemical industries, is successfully assisting its member companies and industries to strive towards leadership in health, safety and environmental performance through innovative approaches and sustainability programs. 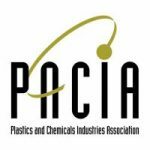 PACIA, the peak body representing Australia’s plastics and chemical industries, is successfully assisting its member companies and industries to strive towards leadership in health, safety and environmental performance through innovative approaches and sustainability programs. The Carbon Solutions project is a key component in the sustainability program for members, supported through the Sustainability Covenant with EPA Victoria, and in collaboration with other stakeholders including the Victorian Department of Sustainability and Environment, Sustainability Victoria and VECCI (through Carbon Down). 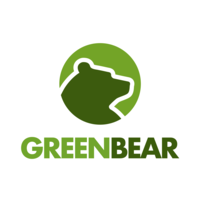 Its purpose is to assist members with the challenges of adapting to a new energy and low carbon emission future. Provide information on both practical and technically complex options for adopting reduced energy consuming/low carbon emission technologies. Undertake carbon auditing to benchmark business performance and establish the carbon intensity of products/services. Assist members with identifying and adopting low energy/carbon emission technologies and preparing a brief report outlining the outcomes of any analysis and provide recommendations where appropriate. Verify and complete energy management plans, assist in the presentation of the results and establish recommendations through a combination of workshops, survey or scenario planning sessions (which may include addressing behaviour and/or attitudes to energy consumption). Hold a series of Carbon Solutions Forums. There have been six successful Forums to date (over 2010-2011), with an average attendance of fourty people per forum. Equilibrium is currently analysing PV Systems Stewardship Options for Sustainability Victoria. Through stakeholder engagement and feasibility studies, we will assess various options and provide robust recommendations. 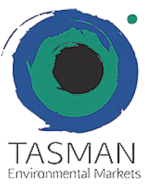 Tasman Environmental Markets engaged Equilibrium to assist in delivering a carbon responsible Commonwealth Games through the development of a Carbon Baseline and Management Plan. Equilibrium delivered a materials efficiency assessment to Dulux Group through research and data analyses as well as the provision of recommendations to improve processes. Mary Kay Cosmetics engaged Equilibrium to develop an Action Plan for the Australian Packaging Covenant (APC). This Action Plan outlined the packaging sustainability and waste reduction commitments of Mary Kay Australia. Equilibrium assisted EastWaste with recycling contract negotiations. We assessed contract variation options for kerbside recycling in light of changes to the export market, and provided various recommendations to EastWaste. Equilibrium conducted a review on the environmental data capture and reporting program and developed RACV benchmarking targets. The project involves undertaking site audits for tyre recyclers, data management and verification program for environmental performance.